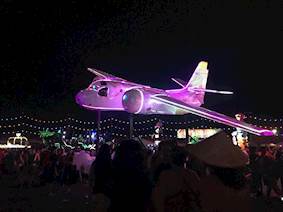 Challenge: Create an innovative video display that visually tells a story to the festival crowd, using an historic airplane as the projection surface and backdrop. 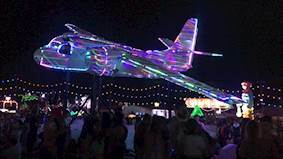 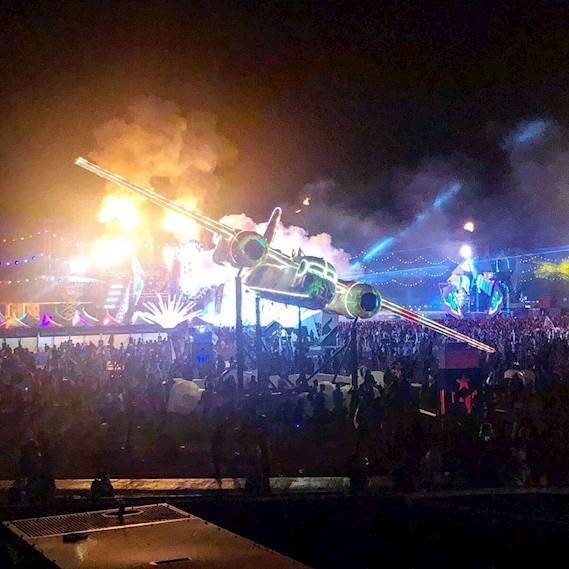 Solution: Using a vintage B-25 Mitchell bomber from the 1940’s, projection mapping ingenuity and Optoma laser projectors, Tico Sighting brought an illusion to life to tell the story of a ghost plane flown by a ghost pilot. 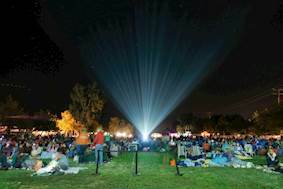 Results: Overcoming unique installation challenges where brilliant, reliable and true-to-life imagery was key, Optoma laser projectors helped deliver an immersive and memorable viewing experience.